I enjoy word games. Some people closely related to me say it’s because I am yet to understand games that are more complicated. That’s unkind. I prefer to think I love word games because they are a celebration of my rich vocabulary and an ability to spell. 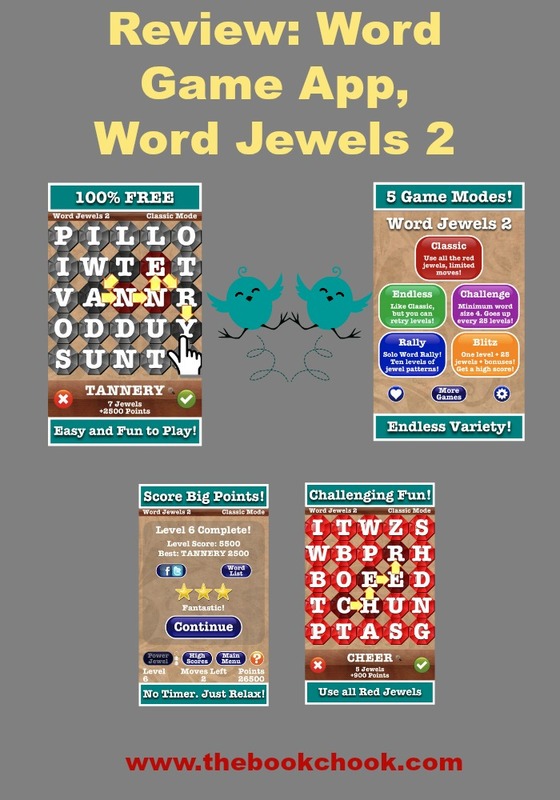 You may remember I brought you some of my favourite word game apps last year. Here’s a new one to add to that list: Word Jewels 2. It’s fairly typical of the word games I like - the goal is to make words, the longer the better. 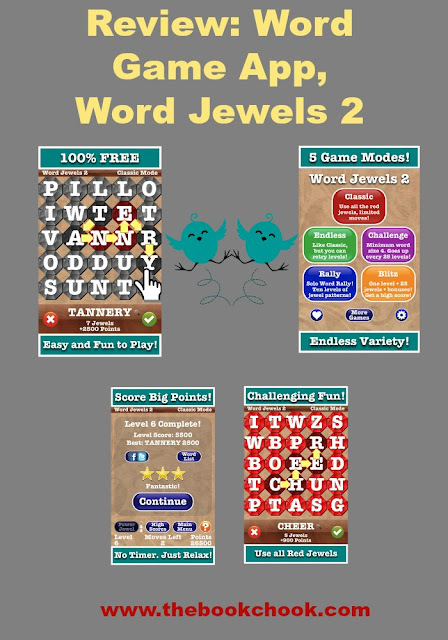 It also has a long name: Word Jewels 2 - Fun and Addictive Wordsearch Crossword Game that Builds Vocabulary! • Huge English dictionary included to verify words even while not connected to the internet! • Automagic letter balancing, to help from getting trapped with a big ol' pile of consonants with no vowels, or with too many duplicates of the same letter in a group! • Magic auto-save - go ahead and quit the game, take a phone call, send a text - when you come back, your game will be waiting for you! Works on both old and new iThings! • 54 Game Center Achievements to earn! Free is wonderful. The ads aren’t too obtrusive and don’t bother me. I like the ease of play and the gradual increase of difficulty - good for the ego! Game play is intuitive but there’s a short tutorial in case you have trouble. You join up adjacent letters by swiping in any direction, and there’s different modes of play, depending on your mood and time to spare. I think teens and adults would enjoy this game, and it may even increase their vocabulary. It might suit some primary/elementary kids too, but it would best for them to play in conjunction with a parent at the start.